A new study published in the European Heart Journal suggests that men who were treated for low testosterone with testosterone replacement therapy also reduced their risk of heart attack, stroke, and all-cause mortality. Researchers examined the health outcomes for 83,000 men aged 50 years or older who were treated for low levels of testosterone in Veterans Affairs medical facilities from 1999 to 2014. The participants were categorized into three groups: the first group included patients who were treated with testosterone replacement therapy until their testosterone levels returned to normal; the second group included men who were treated with testosterone replacement therapy but whose testosterone levels did not return to normal; and the last group included men who did not receive any testosterone replacement treatment and whose testosterone levels remained low. On average, patients saw a follow-up time of between 4.6 years and 6.2 years. Results indicated that the men who received treatment saw reductions in their risk of all-cause mortality (56% reduction), heart attack (24%), and stroke (36%) in the follow-up period, compared to those who were left untreated. 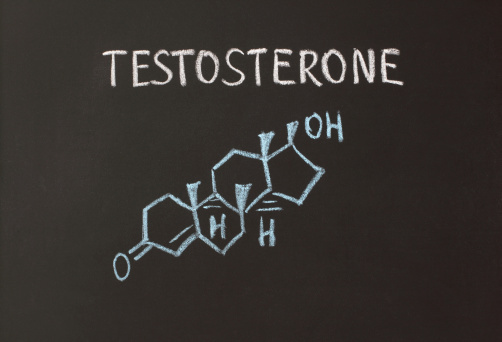 Similar findings were reported between those who received treatment that successfully raised testosterone levels back to normal compared to those who received treatment that did not return testosterone levels to normal, though to a lesser extent. Co-author Dr. Rajat Barua concluded that despite the benefits patients may experience from testosterone replacement therapy, “appropriate screening, selection, dosing, and follow-up of patients to maximize the benefit of testosterone therapy” must also be considered. Sharma, R., et al., “Normalization of testosterone level is associated with reduced incidence of myocardial infarction and mortality in men,” European Heart Journal July 2015, doi: http://dx.doi.org/10.1093/eurheartj/ehv346, published online August 6, 2015. McIntosh, J. “Testosterone therapy may improve heart health for older men,” Medical News Today web site, August 11, 2015; http://www.medicalnewstoday.com/articles/297982.php.